1992 is the year that brought a monumental change that would forever change the landscape of English football, when 22 top-flight clubs broke away from the Football League and controversially formed the FA Premier League. This move also ushered in a new age of huge TV revenues and record-breaking transfer deals, as clubs splashed out to attract the best players that money could buy, thanks to their newfound wealth. In the years since, the Premier League has become both the most lucrative and popular major domestic league in football, attracting fans and followers around the world by their millions, with media exposure and a superior level of organisation that is unsurpassed. The Premier League has also treated us to countless magical moments over the years, including many that tipped the balance of power and decided titles. On April 10, 1993, it was Manchester United who clinched the inaugural Premier League crown and their first league title in 26 years. Their centre-back Steve Bruce scored twice in the last five minutes against Sheffield Wednesday, with the second goal accompanied by wild celebrations from United boss Alex Ferguson and particularly his assistant manager, Brian Kidd. The new Premier League era had also ushered in a new era of apparent league dominance for Manchester United, who comfortably won back to back titles in the first two seasons. However, their monopoly at the top in 1994-95 was broken by two defining moments. On January 25, 1995, after being sent off at Selhurst Park, Eric Cantona lost his cool completely and launched an infamous kung-fu kick at Crystal Palace fan Matthew Simmons in the stands, who had been hurling abuse at the player. This remarkable assault led to the Frenchman being banned for the rest of the season. United were without their talismanic striker for what remained of the battle at the top with Blackburn Rovers, however, after Rovers lost away at Liverpool on the final day of the 1994-95 season, the Red Devils could still have won the title. A win was needed away at West Ham and the home side were ahead at half-time. United laid siege on the Hammers goal in the second half and while Brian McClair grabbed an equaliser, Czech goalkeeper Ludek Miklosko produced the performance of his life to prevent a winner, and Blackburn Rovers clinched their first league title since 1914. When Arsene Wenger arrived at Highbury for the start of the 1997-98 Premier League season, Manchester United had won the two previous titles. Arsenal fans were also questioning the credentials of their new manager, but by the end of the season, they were jubilantly singing his praise. 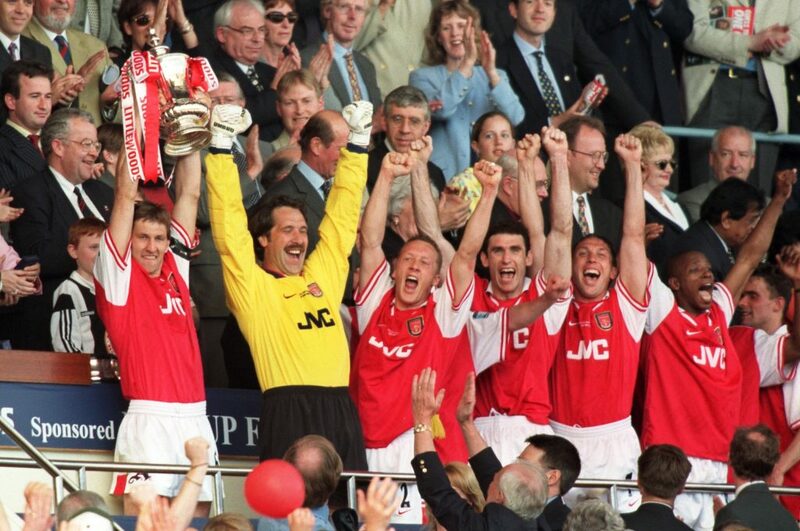 A tenth consecutive win on May 3, 1998, and a 4-0 demolition of Everton landed the Premier League crown, making Wenger the non-British coach to win the English title. Wenger also led his side to FA Cup victory on May 16 of that season, achieving a memorable double for the Gunners. All these defining moments came within just the first few years of the Premier League being launched, and in the last two decades, there have been countless more that shaped the destinies of teams, managers, and players.